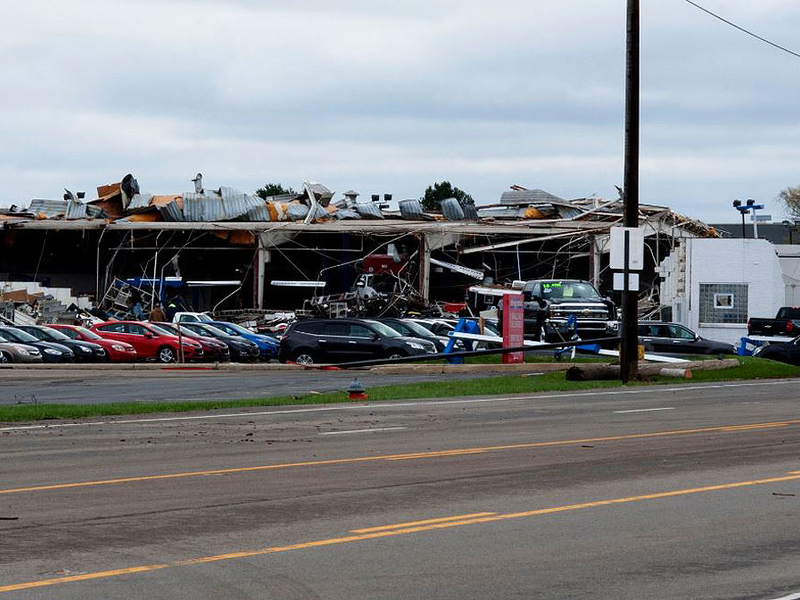 Images provided by Fox 8 Cleveland of Rocket Chevrolet showed a heavily damaged structure and debris spread across the lot. Donley Ford, across the street, also took a significant hit, according to WKYC-TV. The storm downed multiple telephone lines and traffic lights along Route 39. The violent weather had left nearly 115,000 customers without electricity in Pennsylvania, Virginia, New Jersey, Ohio and North Carolina as of early Monday afternoon, according to PowerOutage.US. The severe weather first targeted the South on Saturday and continued its path of destruction into the mid-Atlantic by Monday morning. The National Weather Service said that more than a dozen tornadoes have been confirmed in the South. At least eight people were killed. Automotive News made multiple attempts to get comment from Donley Ford, North Park Lexus at Dominion and Rocket Chevrolet.